Bridge Pickup: Standard Jazz Bass Single-coil. Body Shape: Jazz. Middle Pickup: Standard Precision Bass Split Single-coil. Strings: Fender USA 7250ML, (.045-.100). Neck Material: Maple, Bolt-on. Tuners: Standard. And now for something completely different! Cutting-edge bass players looking for a high performance and lightweight bass with a strikingly different appearance will flip over the Aerodyne Jazz Bass! This is a special edition Jazz Bass featuring a bound basswood body with a unique carved top, a maple neck with rosewood fingerboard and matching painted headstock. It's loaded with a Precision/Jazz Bass pickup combination and rear routed/top mounted controls with no pickguard. Great but... Even better is the Japanese Import '62 Reissue Medium Scale Jazz Bass!! The Aerodyne Basses are terrific...and I'm a confirmed medium or small scale guy (largest bass I'll play is a Rickenbacker @ 33 & 1/4" scale)... but, while this was fine... I got it cheap & flipped it to make money to buy a Sunburst Japanese '62 Reissue Medium Scale Jazz Bass!! You can find those here often listed as Fender Bass JB62m.... or search Fender Bass 62m... search both ways, as well as "Fender Medium Bass" & you can find what I did... the greatest Fender bass ever made! But an Aerodyne Medium is terrific too! Ever since I saw Frank Bello playing one of these bad boys at the warped tour I had to have one, unfortunately they were over a thousand dollars and not in my 19 year old budget. Fast forward 10 years and you can pick these up used around $400 I love this bass and it plus great, I do plan on swapping out the pick ups for something a lot less "spanky" but over all this is a great playing instrument that is highly adaptable to any playing style. Bought from MS Tokyo who were very communicative during the process and shipped the bass very quickly - ordered 27/12/16 from Japan & received Australia 3/1/17. 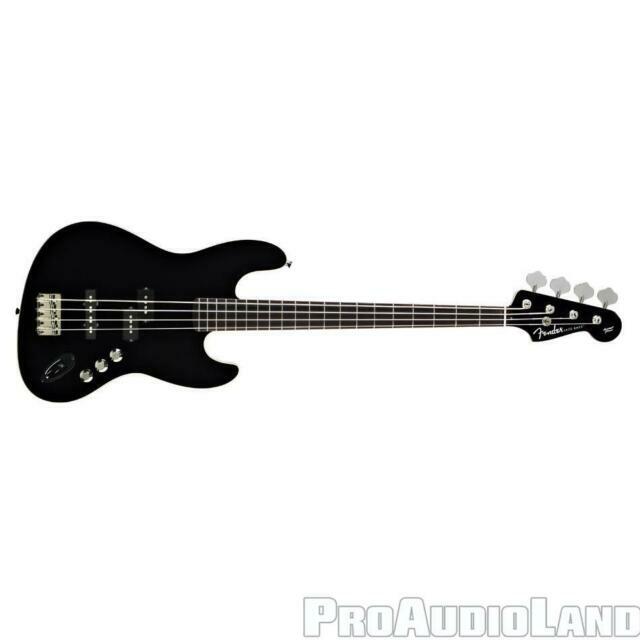 The Aerodyne bass is an exceptional value bass. It is made by Fender in Japan and has a Jazz bass bridge pup and the Precision bass pup as well. It is slim with a belly carve and a curved top. Mine is the older model with the full size scratchplate which I think looks better and is more practical than the new model that has no scratchplate. 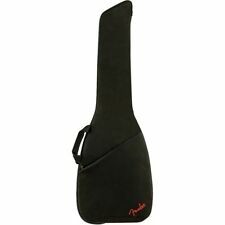 The slim neck is perfect for me and aids fast playing. While the neck's lighter than a normal J bass neck's weight provides better on strap balance. Its a stunner visually and sound wise and I am very happy with it. This bass is absolutely stunning to look at, and even better to play! So happy, considering these basses are quite rare to come by. Its tone/weight/playability are all superb and if you're looking for a new bass to invest in, I highly recommend this! Able to play a multitude of genres flawlessly, simply perfection. Fender Aerodine Jazz Bass- Made in Japan. Great Bass Guitar, Plays very well and love the fact it's a Jazz Bass with a PJ configuration with a classic look.